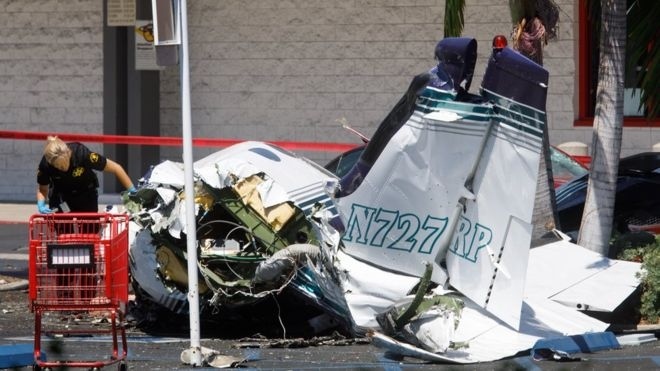 AKIPRESS.COM - Five people have died after their small plane crashed into a shopping centre car park in Santa Ana, California, BBC reported. The twin-engine Cessna plane was bound for John Wayne Airport when it crashed a mile (1.6km) away on Sunday. There were no survivors on the plane and no-one injured on the ground, Orange County fire authorities said. The pilot had declared an emergency before the incident, and national transportation authorities are now investigating the cause of the crash.